Gordon Brown has become involved in the row over alleged racism on Celebrity Big Brother during a visit to India. The chancellor said the issue had been raised repeatedly during his trip, adding that Britain should be "seen as a country of fairness and tolerance". Prime Minister Tony Blair said: "We should oppose racism in all its forms." The programme drew its third-largest audience of the series amid more than 21,000 complaints about housemates' treatment of Indian star Shilpa Shetty. Bollywood actress Shetty's family issued a statement saying they were "overwhelmed by the outpouring of public support"
During his visit to India, Mr Brown said he had heard about the volume of complaints regarding the reality show. Asked about the issue during prime minister's questions, Mr Blair said he could not comment on the Channel 4 reality show because he had not seen it. A Downing Street spokesman later said that the UK response to the programme showed "there is no level of toleration in this country for anything which, rightly or wrongly, is perceived to be racist". The Indian government is awaiting a report on the programme and could raise the matter with the UK. Anand Sharma, India's junior minister for external affairs, said: "The government will take appropriate measures once it gets to know the full details. Racism has no place in civilised society." The story featured on the front pages of several Indian newspapers on Wednesday. Shilpa Shetty's family issued a statement saying they were "overwhelmed by the outpouring of public support for Shilpa not just in India, but from across the globe". As well as approximately 19,300 complaints to Ofcom, a further 2,000 have been made directly to Channel 4. Hertfordshire Police said two e-mail threats against housemates had been sent to Channel 4, but would not say if they related to the alleged racism. Celebrity Big Brother's main highlights show averaged 4.5 million viewers on Tuesday evening, up from 3.5 million on Monday and 3.9 million on Tuesday last week. Bookmaker William Hill, offering odds of 6/4 on Shetty to win the series, said: "She has stuck in there and if she now picks up the public sympathy vote, punters certainly believe she will be very hard to beat." Housemates Jade Goody, Danielle Lloyd and Jo O'Meara have been seen making fun of Shetty's accent. On Monday night's episode, former S Club 7 star O'Meara reportedly suggested that Indians were thin because they were always ill as a result of undercooking their food. The trio also complained that Shetty had touched other housemates' food with her hands. "You don't know where those hands have been," said former beauty queen Lloyd. 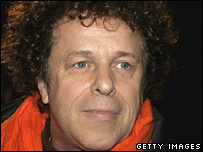 Leo Sayer, who left the house last week, said the alleged bullies were "all being very stupid, but I think basically they are good people". "I wouldn't put them down as nasty people," the singer told Capital Radio. He added: "The only way there is going to be peace in the house is for everybody at least to show each other some respect." A friend of Lloyd, Leeandra Anderson, said that the suggestion the housemate was racist was "absolutely absurd". "I've known Danielle for five years now and not once has she had a racist undertone in her voice ever," she told BBC Radio Five Live. A programme spokesman previously defended the decision to show the offending footage. "The social interactions of the group are part of the Big Brother story and viewers have a right to see these portrayed accurately."